I don’t have to write interesting content. We have to act earlier: I need to make the player interested in the content. No matter what’s actually in there. 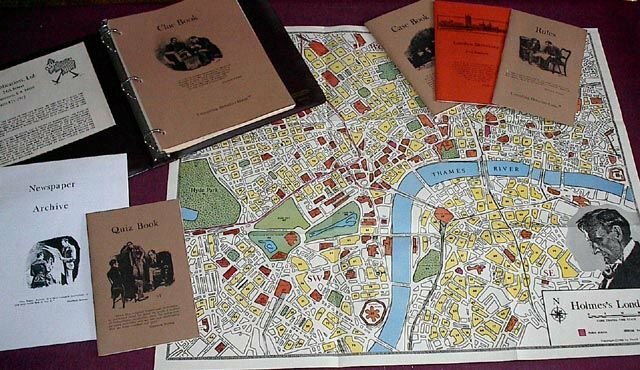 Do you know Sherlock Holmes Consulting Detective, the 80ies board game? The game where you have a case, a map, a newspaper and a telephone register… You can read the newspaper to find fluff but also leads… And you are totally free to use your brain, to let what you read nudge you in the right direction. I want to use that feature a bit. This would slice the story into days – like with Gabriel Knight I which I worship – will put the story into a frame of time and space, allow me to present a lot of fluff and make the player look for clues, make him think outside the box and reward him for it.